When we grew up, if you were the same as me, we had to ride our bikes to keep up with friends and join in. It made it essential to ride but, because of that, our bikes gave us incredible freedom. If we were going to play somewhere we rode there. Sometimes in pairs, sometimes more. If we were off to swim, we rode. It wasn’t considered a sport, and nor for that matter was the swimming we did. It allowed us to do what others were doing. If the bike was broken, while we waited for somebody to come home from work to fix it, we ran as best we could alongside our friends or we stood on the back of someone else’s bike and held on tight. It didn’t need a whole lot of skill and it didn’t matter if you weren’t flash at ball sports.. We just pedalled up the slopes (OK, maybe walked up some) and we rolled down them. Some boys (only boys that I remember, but I’m sure not an exclusive thing) would ride no-handed. I never could. There was no such thing as a heavy bike as light bikes for young people hadn’t been invented. It had bolts to keep things still and ball-bearings so things went round. Freedom is a remarkably complex and fascinating concept. A good debate if you have the time and energy. I am now a father and reflect on my son’s time on his bike and the freedoms it give him. For my boy it was demonstrated by the look on his face when, still aged three, he didn’t need to ride on the path any more. He could go over the football field in the local park, down the slopes his old training wheels would never have allowed, and, aged four, over BMX tracks. Aged 5, now, it is Daisy Hill and Bunyaville Forest Mountain Bike tracks. The path is kilometres long and gone are the constraints. The freedom this permits him is physical, the ‘I can do it myself, daddy’, going further or faster than anything he can power under his own steam. It is also in the developing mind, to go slowly, as he sometimes does, and look at trees and listen to the forest he is surrounded by, further along the path than his little walking legs would take him. Without his bike these are sounds he may, literally, not have the opportunity to hear! He is, in the spirit of the poem Invictus, the master of his fate and the captain of his soul. All on a bike within meters of his home (and not without dad)! Not all children have the same opportunities. We know that. Some do not have a bike or the time with an adult to show them what to do with it. The reasons why are as endless as they are varied. 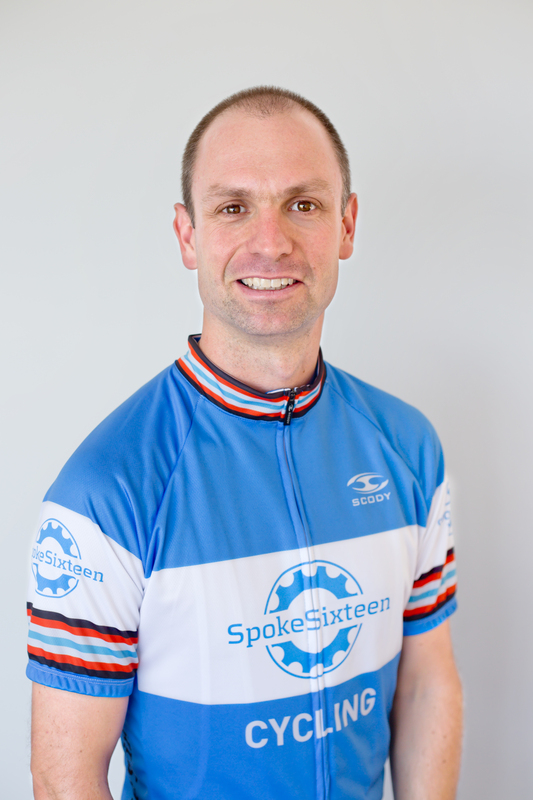 So that is where we, SpokeSixteen, come in. Part of my teaching is showing the parent – and legally we need the parent to stay for the session, which is not a bad thing – what we do to give them some ideas of how to help their own child. Sometimes it is having a different person to their own mum or dad which gives the young rider the confidence to, literally and figuratively, let go of the brakes and ride. (I have no idea why!) Some of what we do is just balance based. The pedals are taken out of the equation and cycling isn’t cycling at all. It is balancing and rolling along and that may well be the trick they need. Sessions are one-to-one sessions, or if preferred, with families pairing up and sharing a session or two. This is a nice way to share the cost and the experience. If one child succeeds the other appears more likely to follow. And that brings us to the freedom idea again. 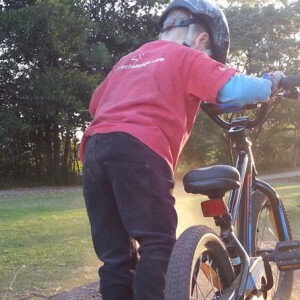 Once the child is in control of their own bike, rather than the constraints of the training wheels and pathway, or the hand of the adult holding the saddle, the sensation that they can go seemingly anywhere is one they want to repeat. Something that isn’t at all a surprise – and if I wasn’t busy working at the time, fascinating to observe! – is that different children’s personalities will affect how they learn. More concerned children will respond better to some types of skills within their comfort zone, the more outgoing children to other techniques stretching them a little further. It is all a matter, excuse the pun, of balance.